In celebration of completing our new official AnimeCoin Mascot design, we are hosting a free fan art competition! Rules: Create a fan art of our mascot. *Must be appropriate and actually of the mascot. Visit our Discord server and upload your artwork to the “Art-Contests” channel. Just include your art, your name, and any URL to your portfolio or social channels. You can submit on Discord here. If Facebook is easier for you to submit your artwork on, you can also visit the official post we made and upload your artwork to the comments section. The official announcement post can be found here. Upload the finished art file! Below is the design specification sheet for our new mascot! Her name is Anico. During the day she works at her job as the AnimeCoin official mascot, more importantly she is the first anime artist to draw exclusively on the blockchain. The blockchain is the revolutionary technology that powers cryptocurrency and this helps run highly advanced technology such as the AnimeCoin soon to be launched anti-theft mechanism which can scan artwork on the blockchain and detect counterfits or stolen artwork! Because she gets do to what she loves as a job (art) she is always happy and joyful. The future for the AnimeCoin project is looking very bright and her bright blue eyes reflect the happiness and future she looks forward to. What are the squares around her? Those squares are representations of the blockchain data which she is constantly surrounded by. Her digital paint brush emits these blocks with every stroke and her fluorescent RGB elements seen throughout her clothing and headphones represent the digital aspect of her existence. Looks like she unbuttoned her ribbon? Take a closer look and see the Katakana ア which is the first letter in the Japanese word for “Anime” (アニメ). Moving forward, these AnimeCoins should become the primary currency used by anyone who wants to trade and distribute their artwork on the AnimeCoin platform! The coin is so much more than just a form of payment. Each transaction carries special data, including information on the artwork, the owner of the art, and automated smart contracts (in the case of commissions). This is what makes AnimeCoin such a powerful tool and necessary for the use of the anime artwork platform. What is the Purpose of this Contest? This contest is mostly just for fun, there is not real monetary prize or special reward. Since everybody will be winning our prize, which is to get featured on our official facebook page which is growing fast and has reached over 6,000 LIKES. Since this is a newly designed mascot, we don’t really have a lot of other poses or unique perspectives on her. We want to invite the art community to join us on our journey as we discover new features and ideas about Anico ourselves! Feel free to be creative, draw her in many different poses and environments, and visualize her in a whole new way. 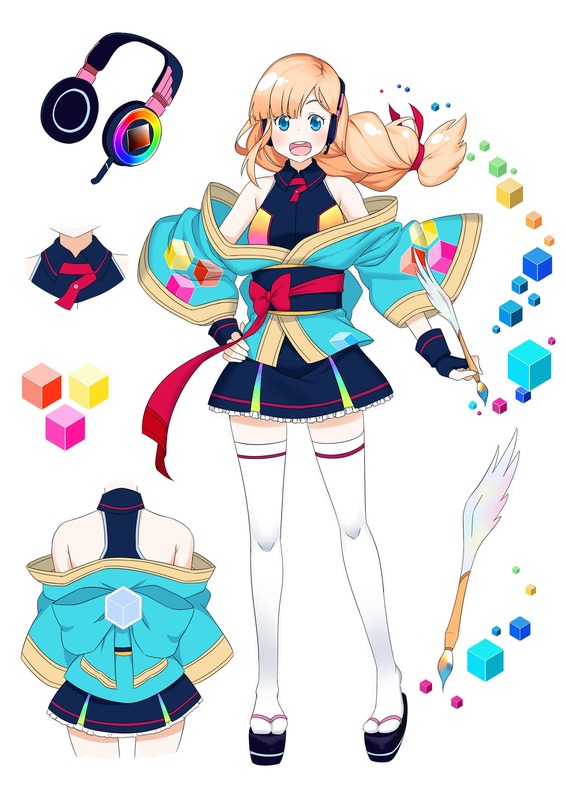 Being able to view Anico from the fan’s perspective will allow us to visualize her in a brand new way and might even provide inspiration for some official artwork of her in the future. Who knows, we may even hire some of the best artists to join our art team! Have fun and be sure to submit your artwork before the deadline if you want to get featured! Follow us on Facebook or Discord and stay updated with all the latest AnimeCoin news by joining our FREE newsletter!